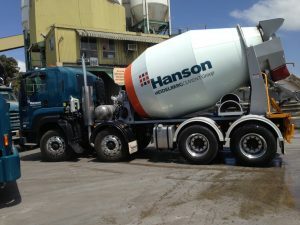 We assist a lot of LOD (Lorry Owner Driver) concrete truck drivers for the large concrete companies throughout Australia, i.e Holcim, Hanson, Metrocrete, Boral & Barro. Client ‘A’, an LOD, wanted to finance a NEW Mack 8×4 Cab Chassis concrete truck and 7m3 Agitator with a total financed amount of $267,000. The difficulty with the deal was that the client did not want to put in a deposit, did not have property equity and wanted an 8 yr term. Of course he also wanted the best rate possible. The difficult part was that he had only been trading for 18mths under his ABN, lenders always want at least 24mths trading. Also with no property equity the lenders all want the client to put in 30% deposit or maybe 20% if they are lucky. We were able to get the deal approved with no deposit with an 8yr term and for a rate that no other lender could beat. Check out our Concrete Truck Finance or Equipment Finance.